Zavala Immigration Lawyer > immigration > What Factors Are Considered by USCIS In Granting Immigration Status? If you have not started the immigration approval process well in advance, you could find yourself facing numerous challenges and unnecessary delays. When you choose to work with an attorney from the outset of recognizing that you need immigration help however, you’ll be in a much better frame of mind for accomplishing the necessary tasks. The support of a lawyer can be extremely helpful in articulating what you need to know about immigration law. 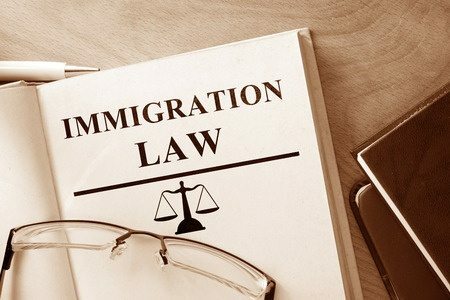 There are many different factors that USCIS considers in granting an individual immigration status, and while these factors are considered in practically every case, each case is unique and has different characterizations and facts that you might not be aware of. That’s why it’s difficult to compare your experience to someone else. The USCIS will first consider whether or not the applicant has an immediate relative who is a lawful permanent resident or a U.S. citizen. Additionally, it will be identified whether or not the applicant already has a permanent employment opportunity in the United States and whether that employment fits under one of the eligible employment categories. Next, it is considered whether or not the applicant is making a capital investment in the United States that achieves certain thresholds and whether or not this saves a certain number of jobs or creates new jobs. Finally, USCIS will evaluate whether the applicant qualifies for refugee status based on persecution due to nationality, race, religion, membership in a certain group or political view based on their country of origin. USCIS can be a very difficult government agency to work with if you are not familiar with their various rules and requirements. This is why it is recommended that you have an immigration attorney on your side to help advise you through the process and answer your questions so that you can avoid mistakes. There are many different things that you must evaluate in the process of pulling together your immigration paperwork and errors can cost you in terms of time and clarity. Hire a lawyer to help.